Somewhat in response to a listener question, we dive into the question of practice versus academic study. Is there a difference between academic study and the practice of Buddha? Is one more valuable than the other? Does academic study undermine religious/Buddhist practice? Or can academic study be, in itself, practice? Well, if that’s the case, then what do you mean by “practice”? And that’s really what this episode is about. We do a deep dive into scholar-practitioners (a la Charles Prebish), the multivalent senses of the word “practice” (a la Charles Bielefeld), the role of study-as-practice historically both in the West and in Buddhism, the age of the degenerate Dharma, and, yes, even Star Trek. Bottom line: don’t get stuck in your head. 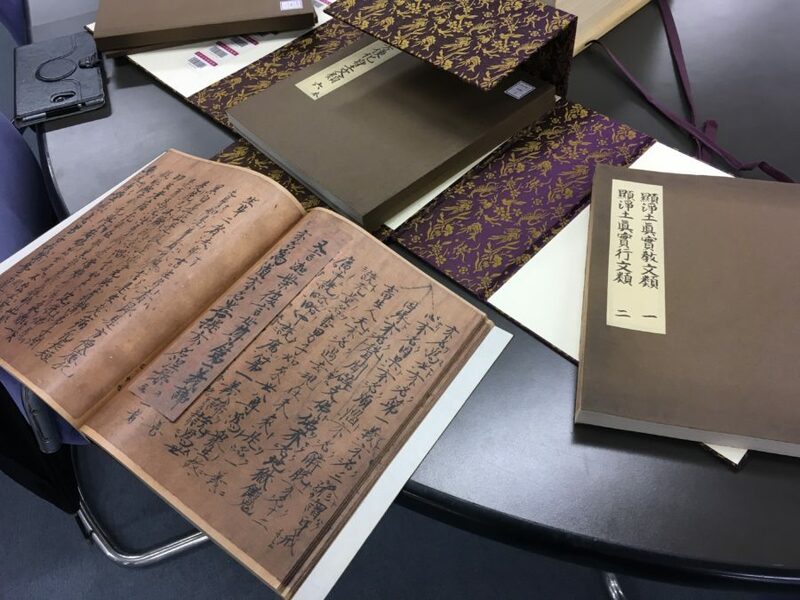 This week’s image is of a photographic reprint of Shinran’s original handwritten manuscript of his Kyogyoshinsho on display at the library of Ohtani University in Kyoto. Who says Buddhists don’t study?